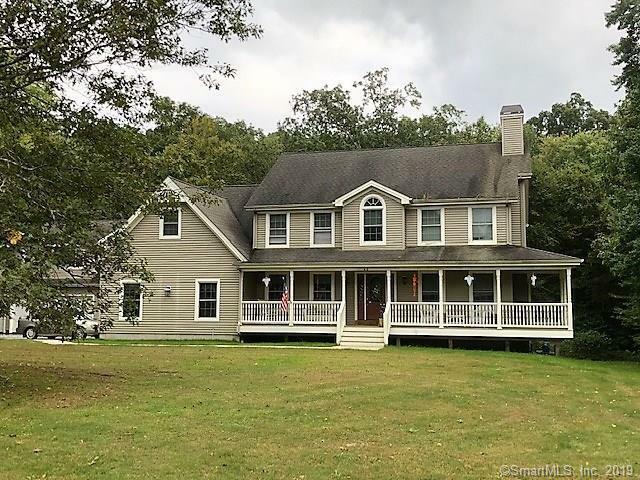 Exquisite Custom Colonial set at end of cul-de-sac on 3.76 acres. This stately home offers 4 bedrooms 2 and 1/2 baths. Offers custom Kitchen with breakfast bar island, Formal Living and dining rooms, fireplace, tile and wood floors on main level, central air, over sized deck overlooks babbling brook. Over sized 2 car attached garage. In Law apt with Kitchen, living room, dining and 1 bedroom and full bath over 3 car detached garage.Don't miss out on this very unique home. Directions: Route 138 To Pine Rd To Bergendahl Rd To Baca Dr. Lovely Camp Hill Subdivision.